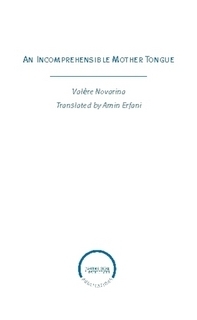 Interview with Amin Erfani, Valère Novarina’s Translator, with Nicole Birmann Bloom from the Cultural Services of the French Embassy in the United States. The Animal of Time – 4 Excerpts with Text, Sound, and Music – Valère Novarina, trans. Amin Erfani, with Chris Kayser, director Valéry Warnotte, original score Fred Lamarre & Adrien Tronquart, Création DSN / la Maison de la Poésie, Paris. February 2014.